Perhaps one of the most critical areas for teaching is professional development. This is especially true for someone like myself that is working in a field which is fairly new in terms of public awareness. Because Autism awareness is still in its infancy stage, research and practical applications continue to evolve. Therefore, these experiences and findings need to be shared and further explored with professionals in the field for the purpose of improvement and development. The fact is autism affects 1 in 88 children today. 1 in 54 are boys. Early intervention is critical but consistency is of equal importance throughout. It is presented by Autism Speaks. Conferences and workshops should be a mandatory practice in all fields. Educators as well as all professionals should seek to improve their understanding so that they can be more effective. 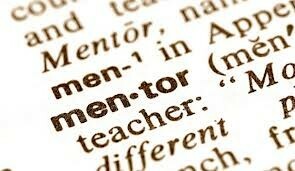 Another critical component of teaching, especially for a younger teacher, is a mentoring program. I can speak from first hand experience, that undergraduate study, while important, plays only a contributing role to being an effective teacher. A good portion of a teaching experience is on the job training that goes beyond a student teaching placement and mini classroom observations. Therefore, a seasoned teacher could provide the younger teacher with some constructive criticism that is more relevant to the local makeup of a particular school district. In other words, they are more familiar with the philosophy of the district, the general procedures, common areas of any potential confusion, as well as the general makeup the community. 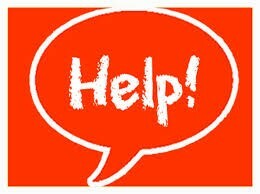 The mentoring teacher can also provide answers to questions that will come up. The following is a description of a mentoring program that I would find extremely beneficial. Upon a hire of a new employee, he/she would be paired up with an educator that has been selected by administration because of their proven reputation for being an effective teacher. The mentor would serve as human resource for the younger teacher for any information that is needed. The mentorship would last over a span of three years. Year 1 - The mentor plays an active role during this critical period. Guided Tour - Meet the Staff. Weekly meetings - Perhaps they can meet at a minimum of once a week to touch base, reflect and plan. Lesson Plan Submission- The new teacher submits their lessons at least a week in advance so that the mentor can ask the important questions and offer their expertise on the subject. The mentor teacher should stress the importance of unit planning and setting both short and long term goals. Lesson Plan Exchange - Samples and models can be an extremely useful tool for a new teacher. Another potentially effective strategy would be to exchanging lessons. Even a seasoned teacher, whether they admit it or not, can be enlightened by new ideas, however, this practice can give the younger teacher to witness a lesson plan which is the product of years of experience. Year 2 - The mentor still plays an active role, but it is more limited than the previous year. Monthly Meetings - The younger teacher should be a little more comfortable, but they are still developing. 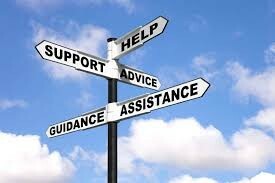 The mentor should respect him/her while offering his/her professional advice on specific issues. Even though they meet less, it should be encouraged to seek the advice of your colleagues in areas that he/she is uncertain. Lesson Plan Submission - The new teacher can submit lessons on an every other week basis. 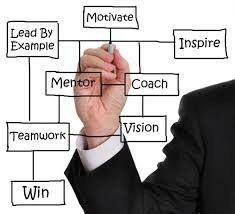 The general purpose of this practice is so that mentor teach can still monitor, serves as more of an advisory role. The Lesson Plan Exchange - Building off of the previous years, the two professionals will continue this practice. Year 3 - By now the new teacher is not so new anymore, however, they still are not seasoned yet. They should be familiar the majority of the areas addressed during the first two years. Unit Plan Submission - By now the teacher should have a good amount of their unit planning behind them. Now it is a matter of tweaking, customizing and improving individual lessons. Furthermore, there isn’t a need for specific lesson submissions, but rather unit plan submissions for evidence of long term planning and proactive planning. The Lesson Plan Exchange - I believe that teaching is most effective when its a partnership of professionals that aren’t afraid to continue to share their experiences, successes and perspective. For that reason, I would continue the Lesson Plan Exchange during the third year and final year of the mentorship. I believe teacher involvement in organizations that are specific to their field expertise is imperative. For example, a social studies teacher could belong to organizations such local historical societies or even the smithsonian institute. Being involved in those organizations will better enable the educator to utilize information, tools and other related professionals for the purpose of improving the overall experience. 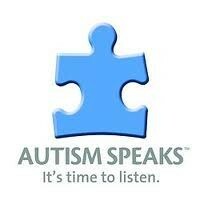 One professional organization that I would like to be involved in is Autism Speaks. Autism Speaks in an organization that was founded by grandparents of a child with autism. Since 2005, it has grown into the world’s leading organization thus providing the latest research in autism science. Thanks to many generous people, millions of dollars are donated each year for the purpose of funding research into the causes, prevention, treatments and a cure for autism. Having a better understanding about autism will help me become develop and implement more effective lessons. Autism Speaks integrates technology. Right on their website is a library of Autism Apps. It lists the name, category, platform, age and supporting researching. Because I am pursuing my Master’s Degree in the area of Instructional Technology, I will be better familiarized with integrating technology into my teaching practices on a fairly routine basis. Furthermore, perhaps I can offer constructive criticism to the developers of these applications thus potentially indirectly improving the programs. In addition, I would love to actually develop my own App or technology related application based on my specific experiences (potential idea for thesis) Technology plays such a big part of our world today, whether is for communication or education, the possibilities are vast.